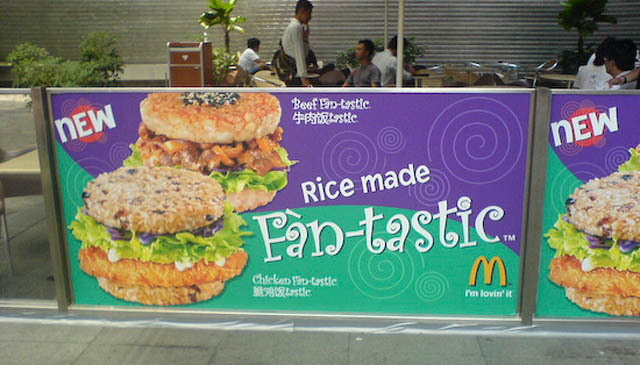 AS IT STANDS: McDonald’s WTF Menus Around the World! If you think McDonald's sells the same burgers and fries everywhere in the world, think again. In Singapore (Left), the national obsession with rice extends to having rice cakes in your burger! Try taking a bite out of this towering concoction! 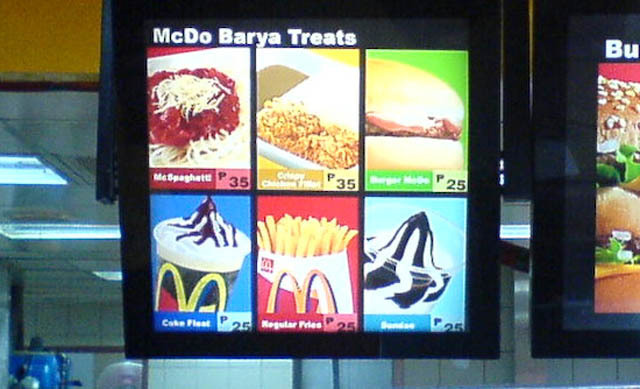 Perhaps the biggest WTF menu item (Weird and Troubling Food) that can be found at a McDonald's is in the Philippines (Left). They have McSpaghetti on the menu, which of course you’d expect in Italy, and the way they make it is rather unusual. 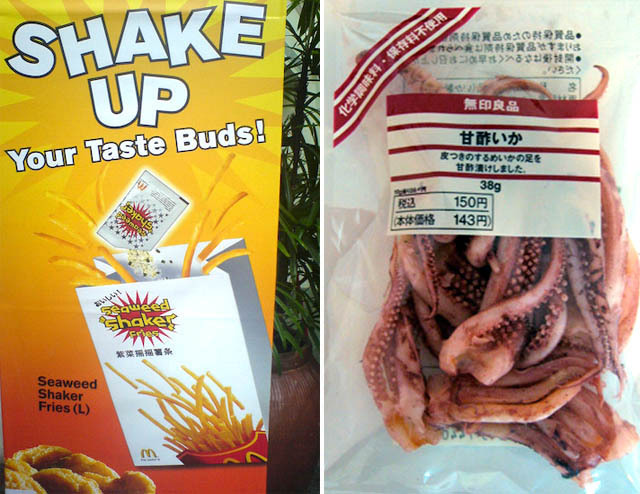 A Filipino friend explained to me that it was incredibly popular and basically consisted of spaghetti soaked in sugar. Let me repeat this: Spaghetti - Soaked In - Sugar! 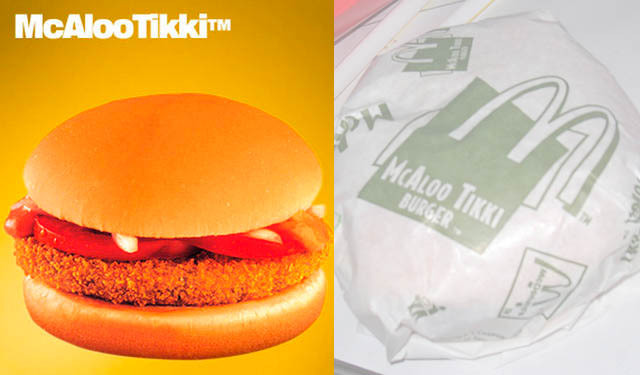 Peas and potatoes make up the patty in the McAloo Tikki at McDonald's in India. Mickey D’s knows that cows are sacred, so they simply adapted. Let nothing stand in the way of making money! 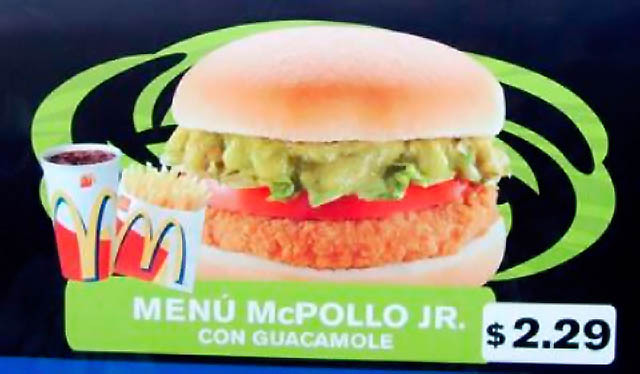 There’s a great travel site called Trifter which shows more international Mac food variations: among them guacamole (avocado paste) McPollo burger in Chile.